IQMS ‘s Software Engineering and Testing training is for the development & testing of software systems with a focus on leading software engineering development and management processes and practices of the organization. IQMS Software engineering training concentrates on the development of software systems with a focus on leading software engineering development and management processes and practices. The IQMS Software engineering and testing training approaches software development & testing from a Systems Engineering perspective is an interdisciplinary, collaborative approach to the engineering of system solutions which aims to capture stakeholder needs and objectives and life-cycle balanced system solution which both satisfies the minimum requirements of the stakeholders, and optimizes overall solution effectiveness according to the values of the stakeholders. 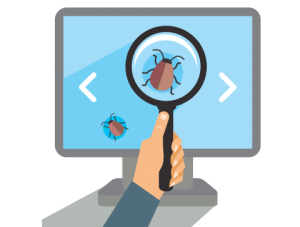 IQMS Software testing training provides end-to-end software quality solutions in relation with functionality and performance to the organization. Our generous focus on software engineering principles eliminates not only the peripheral problems but tackles the root cause of an issue. IQMS software training is to ensure the high quality software; IQMS realize that the focus must start from quality of requirements and lead up to their final deployment. IQMS Software testing training help to the trainees in capturing the explicit (functional) and implicit (performance and non functional) requirements and setting a proper traceability with all relevant test cases. IQMS Software engineering and testing training is designed for people (such as Project manager, Project and team leader and Software developer and tester, Development and Testing manager etc.) who are responsible for specifying, acquiring, developing, evaluating, supporting or managing software intensive systems. Make out the clarity of standards are used in software development. Leading software development technical and management practices. Implementation of the Agile development method and techniques. Helping to the project team in managing software requirements. Better way of the Verification and Validation activities and how are they integrated with other development activities. Depict the simple way to make out the high and low level design of the software requirements and databases.